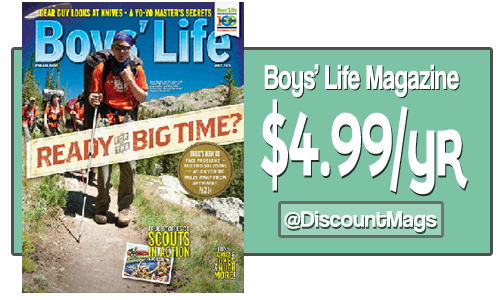 Check out this deal on Boys’ Life Magazine. Use the code: SOUTHERNSAVE to get a subscription for $4.99 a year. Boys’ Life is full of articles that will test your first aid skills, teach you how to build a ping pong ball launder and enjoy the great outdoors! You can order up to 3 years at this price and the deal doesn’t expire until 1/17 at midnight.